I’ve been writing Damned Nations for sixteen years. Not literally, of course. The actual process of sitting down and hammering it out lasted eight excruciating months, especially because the global landscape kept shifting in dramatic ways. When I started, Bin Laden was still at large, Mubarek was the third largest recipient of American military aid, and the European Union was actively courting Gadhafi. But these things aside, what the book does capture are the most memorable, moving and at times intensely difficult moments I have experienced while working as a doctor and humanitarian in more than a dozen of the world’s violent conflicts. But the truth is, I didn’t write Damned Nations to make people feel guilty or depressed or even apoplectic about the state of the world. I wanted to provoke and inspire people by telling the stories of those I’ve met; to move and to challenge readers; and to do it in a way that balanced emotion with humour and investigative research. Throughout the book, the stories are intended to draw attention to the great courage and resilience that exists – even in places where none ought to – around the world. I tried to relay these stories in such a way that those profiled might speak directly to readers. More than anything, I wanted this book to be a journey towards understanding. A journey that starts with a 25 year old Canadian doctor who boarded a plane for Somalia in the mid 90s believing she had all the answers, only to learn that she wasn’t even asking the right questions. 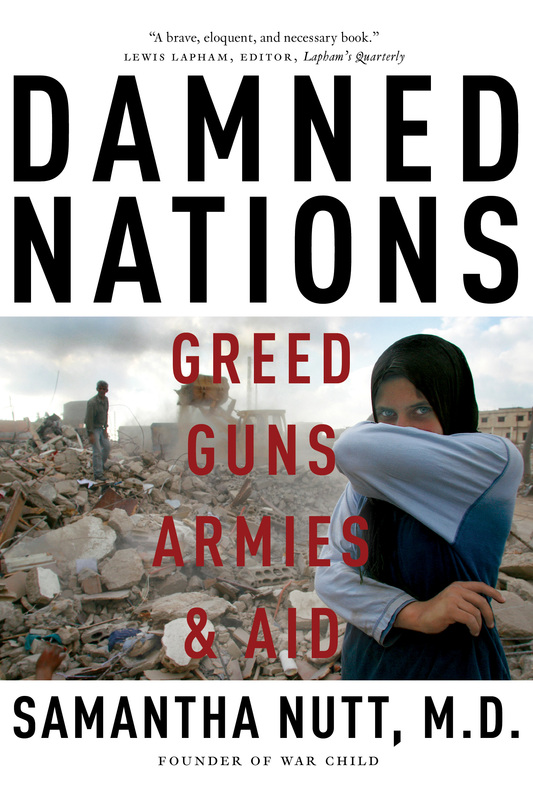 I hope that Damned Nations will be the start of many conversations about war, aid, and what we might do differently.